These 10 tips can change your life! 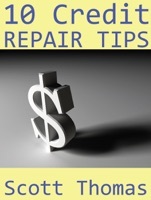 If you're looking for where to start, or how to start repairing your bad credit, this is the resource for you. A short and sweet guide to getting your credit cleaned up, establishing new credit, and staying on track. Oh, and its free!